On Saturday (May 19), watched by the world, American actress Meghan Markle walked down the aisle to marry Britain's Prince Harry, sixth in line to the throne. 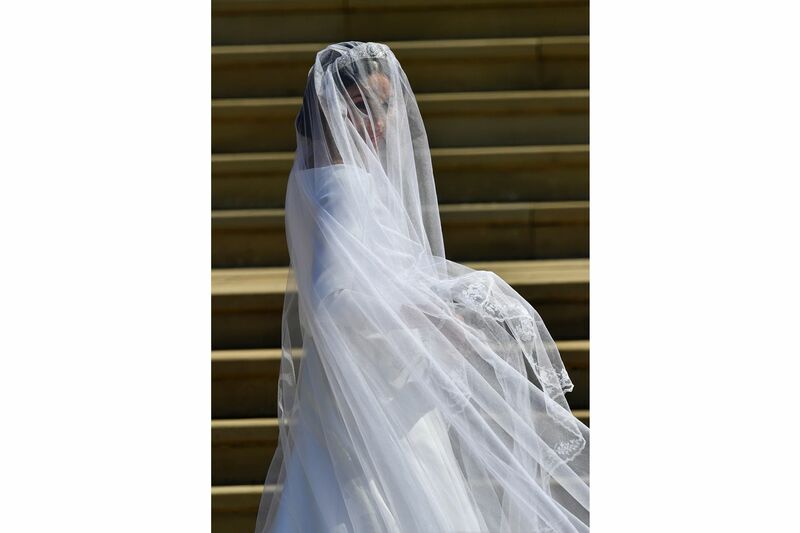 After months of speculation on what she would wear - Markle, 36, emerged from her bridal car at the steps of St George's Chapel at the Windsor Castle at noon (7pm Singapore time) wearing a classic elegant long-sleeved gown. The gown was designed by acclaimed British designer Clare Waight Keller, who last year became the first female artistic director at the French fashion house Givenchy. The pair worked closely together on the design: Characterised by clean lines with six carefully placed seams, the dress features an open bateau neckline and slim three-quarter sleeves. An exclusive double-bonded silk cady was developed for the fabric of the gown, which Kensington Palace said in a statement has "a soft matte lustre". 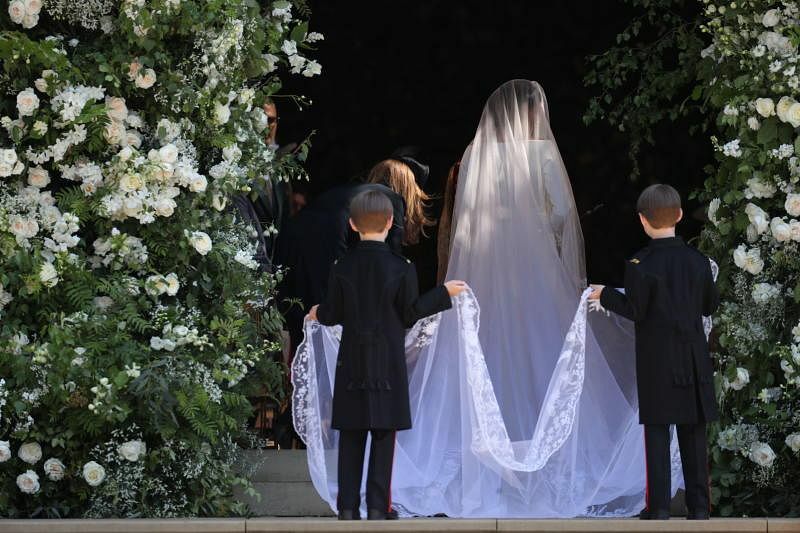 The bride herself had a special wish: She wanted all 53 countries of the Commonwealth to be with her during the wedding, and Ms Waight Keller designed a veil with a floral composition made of the distinctive flora of each Commonwealth country. The 5m-long silk tulle veil features hand-embroidered silk and organza flowers including Singapore's very own Vanda Miss Joaquim orchid. Malaysia's Bunga Raya Hibiscus, Bangladesh's White Water Lily and Pakistan's Jasmine also made it onto the long veil. Markle wore on her head Queen Mary's diamond bandeau, which Queen Elizabeth II had lent to her. The English bandeau was made in 1932 and is made of diamonds and platinum. She wore earrings and a bracelet made by French jeweller Cartier, and on her feet Givenchy-based silk duchess satin shoes. To top it off, she carried a bespoke bridal bouquet designed by Philippa Craddock, with flowers handpicked by her groom from their private garden at Kensington Palace. The spring blooms included Forget-Me-Nots, which were the favourite flower of Prince Harry's mother, the late Princess Diana. The couple chose the flower to honour the memory of the Princess of Wales.